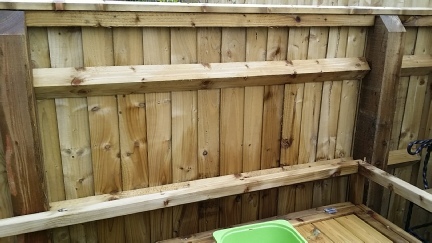 Closeboard fencing is an upgrade from standard larchlap panels. It far more robust and sturdy. We use ‘redwood’ posts. This gives you approximately 15 to 20 years life span. This needs to be considered when getting quotes elsewhere. 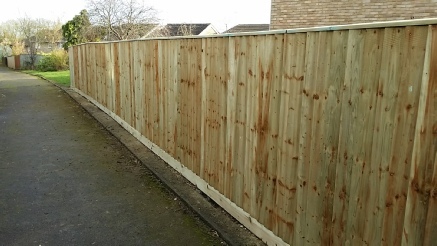 The most common close board fencing we use for fences from 4 to 6 foot is the ‘V-Notch’ system. 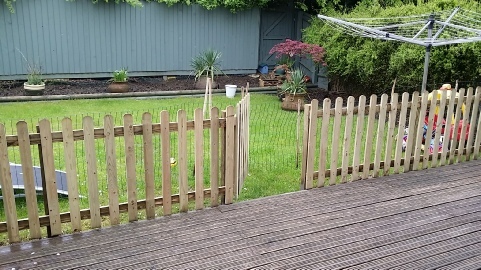 This uses 125mm x 100mm post with v’s cut in for the triangular arris rail to sit in, then the feather edge boards are nailed to the rails making the fencing all flush and a more robust system. A similar, cheaper type is to use normal square posts with rails attached to them then the feather edge boards nailed to the rails. This works out marginally cheaper but it’s not as robust. Individual panels are also available. 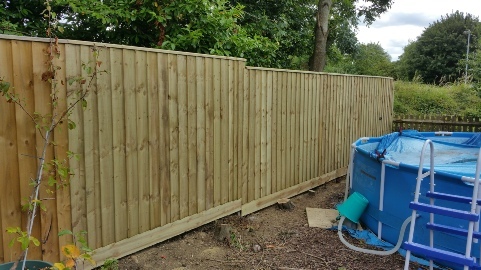 Our Fence services include replacing a panel or a post to a full fence installation using quality pressure treated timbers.